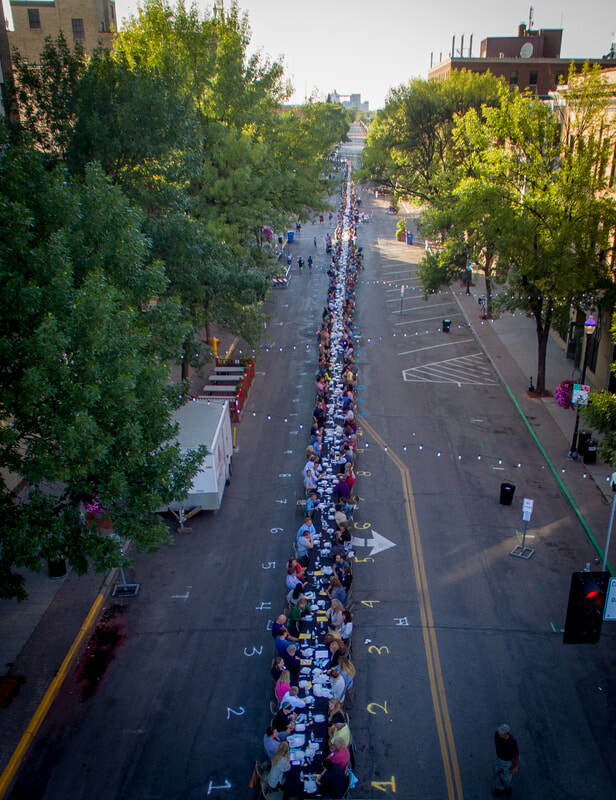 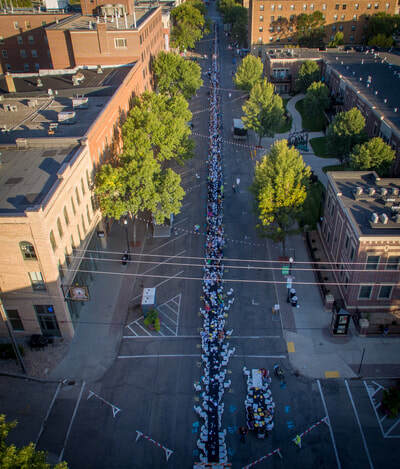 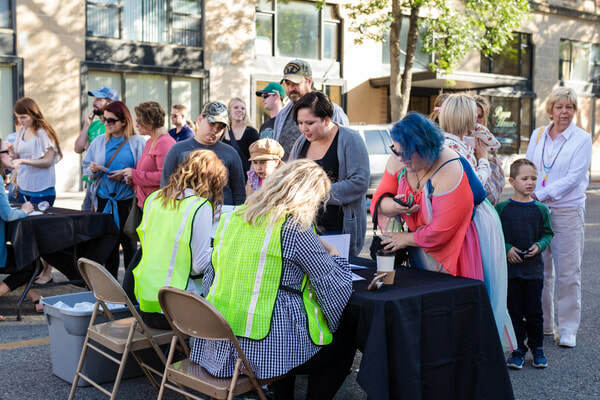 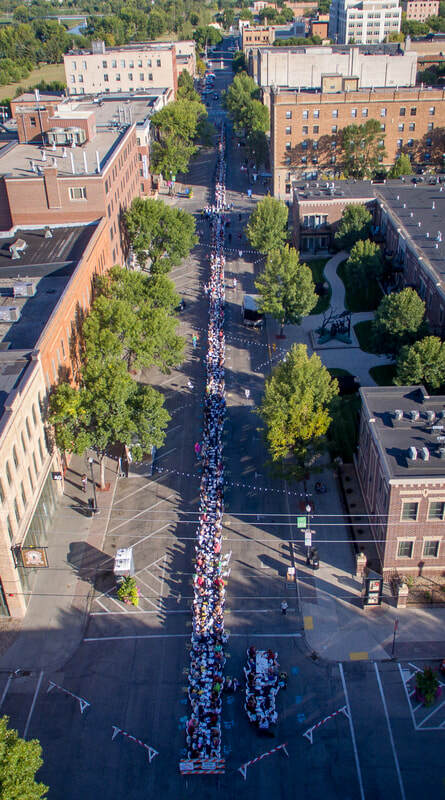 On Sept. 5, 2018, 717 residents filled a 750+ foot table in the middle of Downtown's 3rd Street to dream about the future of the Grand Forks community. 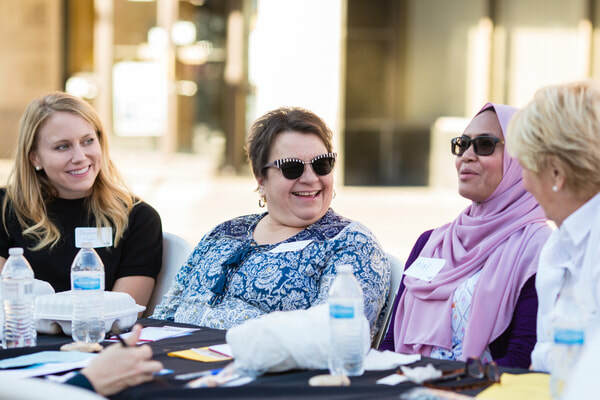 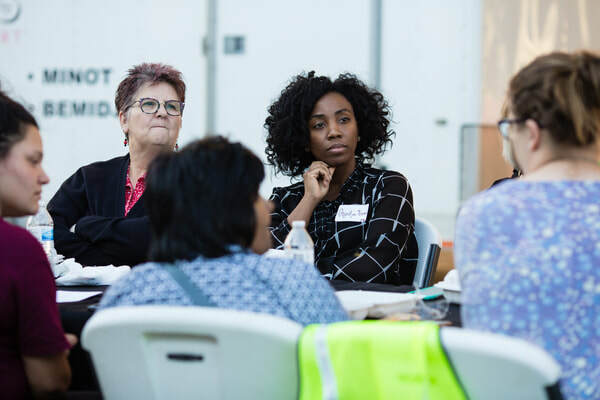 Below you will find a link to a summary of the hundreds of conversations and the gathered data regarding perceptions and hopes for our community. Toggle the population variables to view responses by specific subsets. 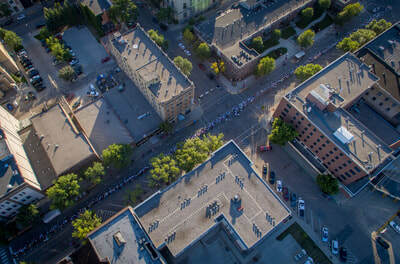 Note: The button above will open a new tab and the page may take a minute or two to load. 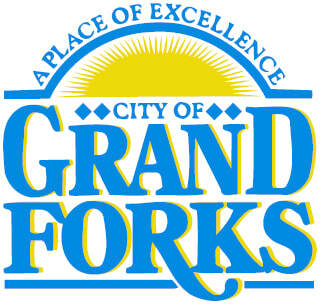 Click to read the GF Herald article. 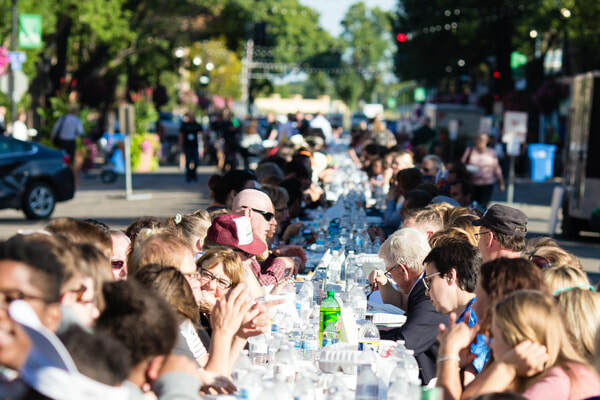 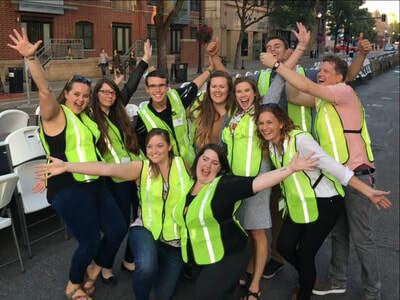 The Longest Table is organized by the Community Foundation of Grand Forks, East Grand Forks & Region and the Greater Grand Forks Young Professionals. 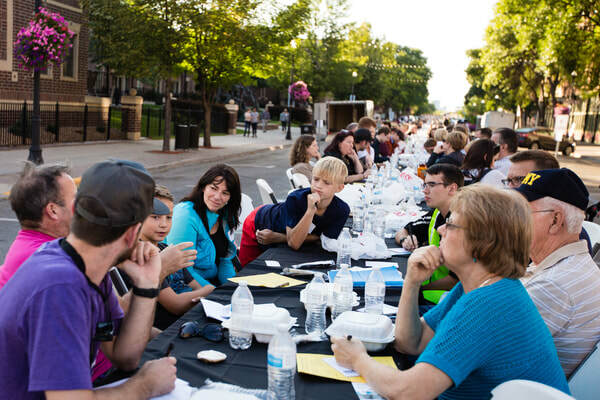 The event is generously sponsored by a Knight Foundation DAF grant from the Community Foundation.